ONCHAN, Isle of Man – May 19, 2016 – Kevin Martin, from Calgary, Canada, is the latest poker player to join the world’s leading online poker players at Team PokerStars Pro Online, and will represent PokerStars, an Amaya Inc. (Nasdaq: AYA; TSX: AYA) brand. As well as loving the game of poker, Kevin Martin was a contestant on Season 3 of the Canadian Big Brother TV show, and formerly a radio host on stations Rock 106 & 107.7 The River. Martin has rose to prominence in the online poker world recently, and in the last six months, he has managed to build a Twitch audience of more than 1,000 average viewers per session, peaking at 4,000 viewers on his best streams. Martin focuses predominantly on low buy-in tournaments, with viewers impressed by his engaging style and audience interaction. 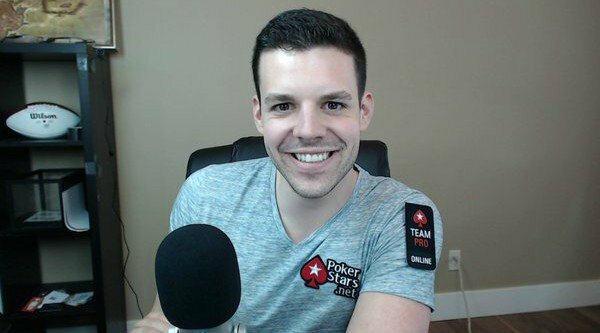 Many report that he is one of the most fun and entertaining people streaming poker on Twitch today. – Large category ranking. Rational Group entities in Costa Rica and Dublin also achieved the same accolade in their respective local rankings in 2014. PokerStars is owned by Amaya Inc. (Nasdaq: AYA; TSX: AYA).